Avantari’s research and development foray into Augmented Reality has resulted in the creation of a stunning proprietary software that allows you to get extraordinarily realistic videos that convinces users that the AR is present in-person with them. 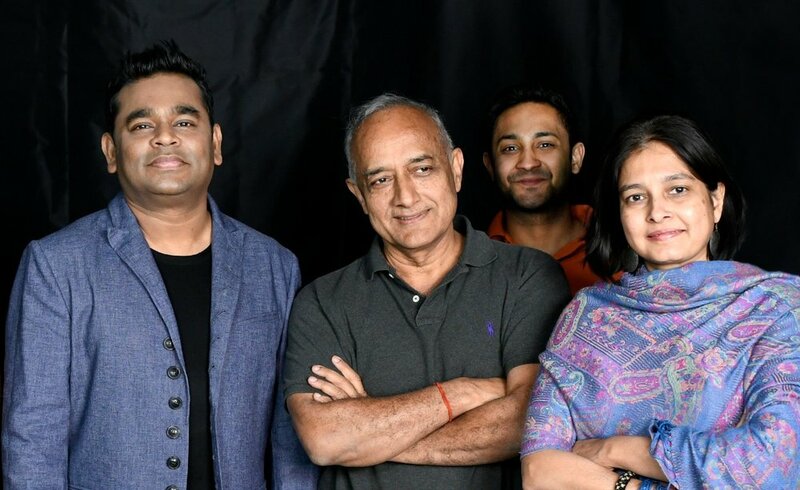 Our latest project is with Oscar & Grammy Award winning Superstar, Mr AR Rahman. Our proprietary technology known as LifeSize AR has tremendous potential for application across a diverse array of industries where current audio-visual communication is simply not advanced enough to create the right impact. With LifeSize AR, celebrities, leaders and key influencers can expand their audience reach and truly leverage the impact of their personal charisma by charming and enchanting audiences that are eager for a personalized interaction. Now, everyone can not only take a selfie with their idol but also experience having them appear in the space of their living room. The branding opportunities that are present with this cutting-edge innovation are astronomical and if your business is looking to take the next step in audience interaction, we’d love to hear from you. Oscar & Grammy Award-Winning Musician, AR Rahman, launches his official Augmented Reality AR x AR. He leverages the technology to reach his fans across the globe, and provide selfie opportunities, exclusive updates and even special unplugged performances in your own home. 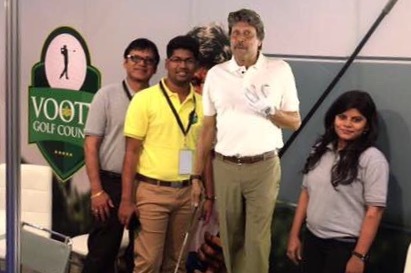 AR was used to transport Cricket Legend Kapil Dev in front of you. Through this app, Kapil talks to you about Dream Valley's Vooty, a resort golf course currently under construction. Fans can take pictures and pose with Kapil, and boy did they do this eagerly! The app is being used as a promotional sales tool internationally by Dream Valley Resorts. AppStar leverages the latest mobile technology in Augmented Reality to bring movie Stars to life in front of you. The project promoted Kajal Aggarwal & Rana Daggubati's new movie, and brought the stars before hundreds of thousands of fans. The movie became a box office hit. Augmented Reality with Spiritual Leaders. Sri Ganapathy Sachchidananda Swamiji is a spiritual leader with over 10 million devotees and 5.2 million highly-engaged followers on Facebook. The App, Divine Darshan, leverages AR technology to bring Sri Swamiji to the homes of his devotees. This app is based on a subscription model that publishes a new AR message from Sri Swamiji every week. Marico partnered with Avantari to deploy an Augmented Reality experience in-stores to drive sales of their new product. The technology fused Virtual Reality with Augmented Reality to make Shipra Khanna, a Masterchef winner, appear in front of customers in life-size to cook using the new product as her key ingredient. The experience captivated many customers to engage with the brand, leading to increased awareness and assisting in an uplift of sales. Read on Asian Age here.